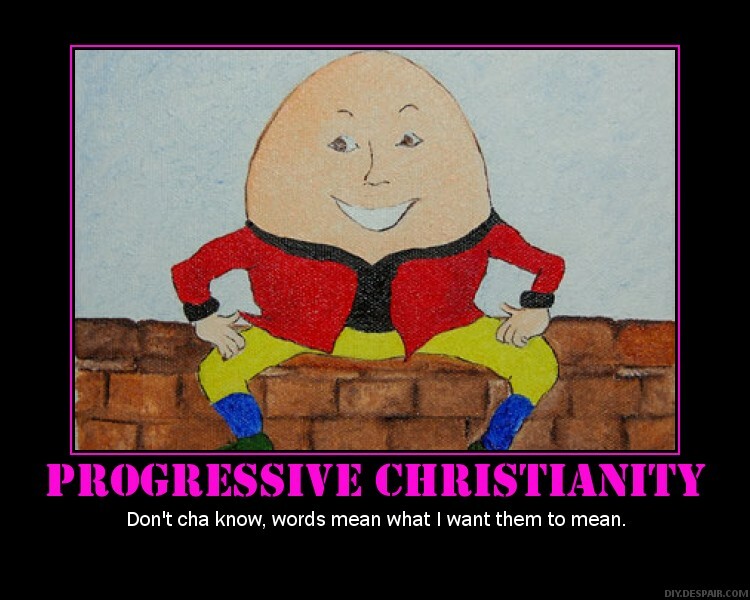 In posts like Brian McLaren Continues To Blunder and Dissention Growing Around The Emerging Church here at Apprising Ministries I’m showing you that Progessive Christianity aka liberal theology will be showing up more and more around the cricles of the sinfully ecumenical Emerging Church aka Emergent Church—that morphed into Emergence Christianity—(EC). It’s a reimagined (post) form of it i.e. Liberalism 2.0 particularly in the mystic myths of EC guru Brian McLaren, heretical EC pastor Doug Pagitt, and his equally heretical “theologian in residence” Tony Jones. As a matter of fact they’re not even trying to hide their “progressive Christian theology” now in the EC. For example, in McLaren’s new book A New Kind of Christianity (ANKoC) he made the choice to finally come straight out with his rejection of the verbal plenary inspiration of Scripture in favor of destructive higher criticism of the Bible as well as his sympathies with Open Theism/Process Theology. We get a little peek at some of this in the following from ANKoC. While Setting the Stage for the Biblical Narrative, chapter 5 in A New Kind of Christianity (ANKoC)—the title alone is revealing enough—McLaren tells us there was a time when he “began losing faith” in the way he once read the Bible. However, McLaren goes on to share that he was then fortunate to be able to learn “from Christian scholars” such as “Protestants” like Living Spiritual Teacher and Progessive Christian scholar “Marcus Borg” and Roman “Catholics” like “Richard Rohr,” a leading instructor of Contemplative Spirituality/Mysticism as well as another Living Spiritual Teacher. As we will see again when we read the story of Job in response to the authority question, it may help us here [in Elohim’s “coming-of-age” story] to see “God” not simply as the real God, but as a character in a story, seen and described unapologetically from a human point of view. This character is thus rendered in starkly human terms, which excuses the character for displaying less emotional maturity that we might expect in an actual deity. This character seems, if we’re honest, rather limited in foresight (threatening and then not imposing the death penalty with Adam and Eve, not anticipating Cain’s violence to Abel), and somewhat insecure and threatened by human potential, worrying first that humans “will become . . . like us” (Gen. 3:22) and later that “nothing will be impossible for them” (11:6). I’ve just spent another few days with Philip Clayton, and once again been impressed with the evangelical zeal with which he approaches progressive theology. He is a force of nature.